There are around 18 legislatures responsible to Westminster, spread across the world and with a whole plethora of constitutional arrangements. Westminster is responsible for eighteen other legislatures and more land in the southern hemisphere than the northern. As we debate the independence of Scotland and proposals within that for some continued sharing of power, it's worth, perhaps, reflecting for a moment on the current plethora of quirky constitutional relationships various lands have with our current sovereign parliament. The first three legislatures under Westminster's wing are obvious: Scotland, Northern Ireland and Wales. These each have their own, different constitutional status and emerging traditions – with Wales only securing law making powers in 2011. There are also complex differences in the roles of local government in each of the home nations. Northern Ireland, Scotland and Wales are reasonably simple with, respectively, 26, 36 and 22 local authorities (though the former two use the Single Transferable Vote and the latter First Past the Post). England's a bit more of a mess. It has has 55 unitary authority councils, 36 metropolitan borough councils, 32 London borough councils, 27 county councils and, just to make it more complex, separate arrangements for both the City of London Corporation, and the Council of the Isles of Scilly. Finally, there's the unique status of the London Assembly. But of course none of these can make laws. The Crown Protectorates, on the other hand, do define their own legislation. The Tynwald on the Isle of Man (the oldest parliament on earth) and the parliaments of Jersey, Guernsey, Aldernay and Sark on the Channel Isles represent the fourth, fifth, sixth and seventh legislatures for which Westminster is in some way responsible: each of these is independent but for foreign and defence policies. 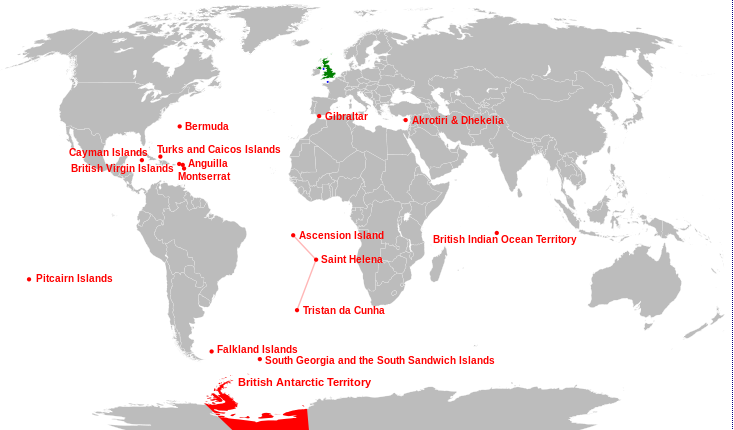 To find the rest, we need to look further afield, to the fourteen British Overseas Territories ('British Dependent Territories' until 2002 and 'Crown Colonies' until 1983), though, in fact, they are all a bit different, with individual variations in their arrangements. Let's start with those which don't have their own law making powers. First, and by far the largest by area, is the 1.7 million square kilometre British Antarctic Territory – about seven times the size of the UK (though its boundaries are disputed by Chile and Argentina). It's one of two territories, along with South Georgia and the South Sandwich Islands, with no native or permanent population, and is run from the Foreign and Commonwealth Office by a London based Commissioner – the career civil servant and former head of PR for the London Stock Exchange, Peter Hayes. 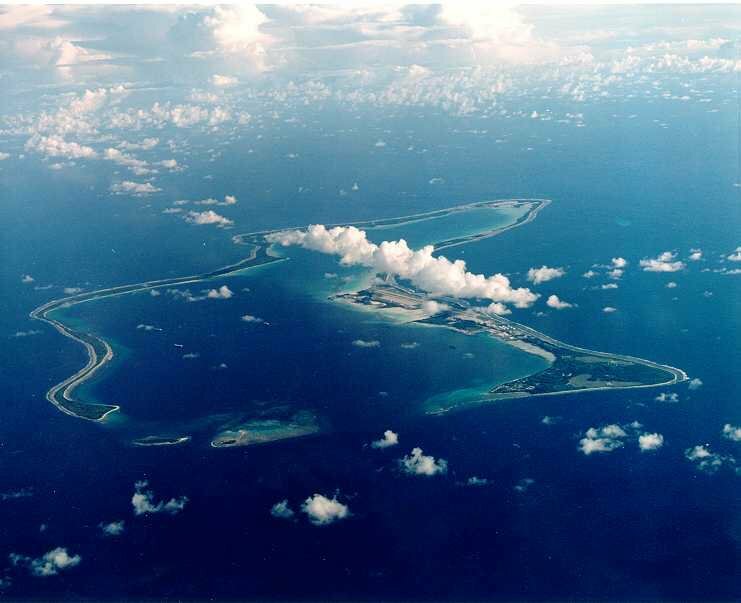 Also without a permanent population for a very different reason are the Chagos Islands (AKA the British Indian Ocean Territory), whose inhabitants we forced off the islands between 1968 and 1973 so we could set up a military base, along with the Americans, on the biggest island - Diego Garcia. They're also run by Peter Hayes. Diego Garcia isn't the only Overseas Territory which is a military base. But unlike the other thirteen territories, Akrotiri and Dhekelia isn't the responsibility of the Foreign and Commonwealth Office, but the Ministry of Defence. When it was proposed that the UK may wish to retain ownership of the Faslane Nuclear Weapons base in Scotland after a yes vote, most commentators drew an analogy with Guantanamo Bay - in Cuba, but owned by the USA. Perhaps we can credit the West Wing with encouraging us to learn so much about American politics even before we've understood our own. 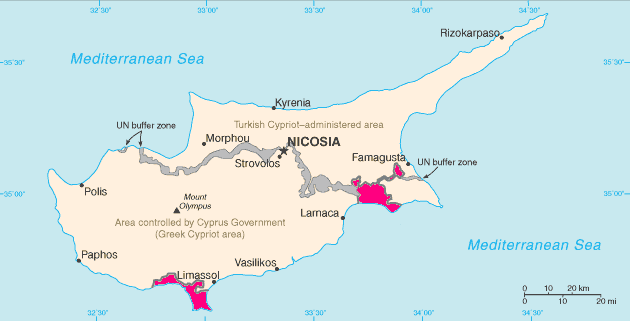 These two chunks of Cyprus are owned by the UK and like Guantanamo, formed a vital role in the war on terror. When Tony Blair claimed that Saddam Hussein had weapons of mass destruction which could reach British targets within 45 minutes, he wasn't talking about London. It was these outposts of the ministry of defence to which he was referring. Those living under military rule in the territories include approximately 7,700 Cypriots, 3,600 service and UK-based contract personnel, and 4,400 dependents, all of whom are accountable to the laws dictated by Major General Richard J Cripwell and the former of whom are the only citizens of the various territories who didn't become British citizens on 21 May 2002. They use the Euro. Then there's the Pitcairn Islands. 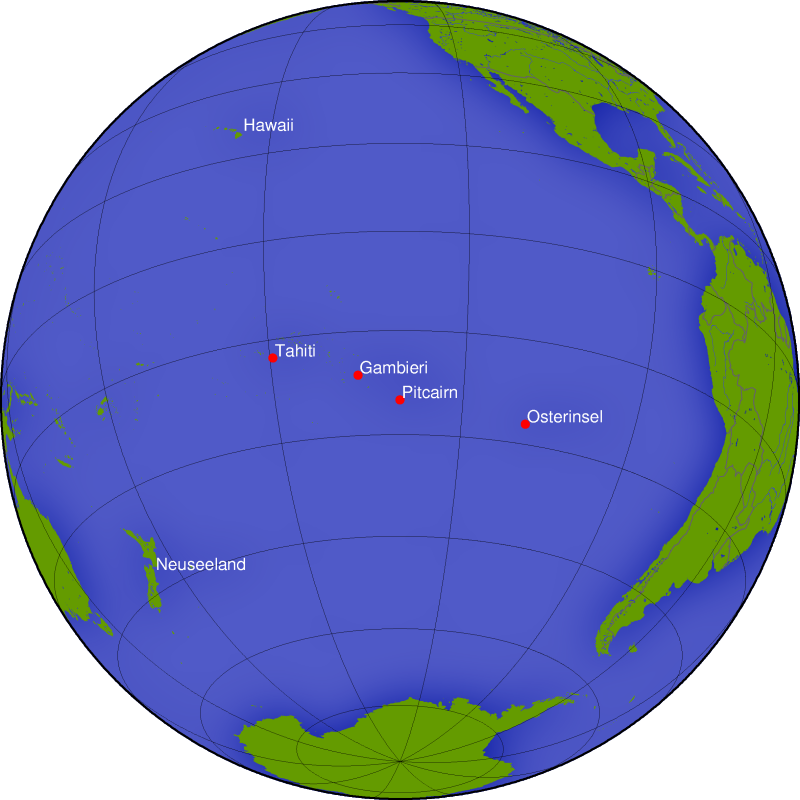 Inhabited by the 56 descendants of mutineers of HMAV Bounty and their Tahitian companions who were dumped there in 1790, this is the least populous national jurisdiction in the world. 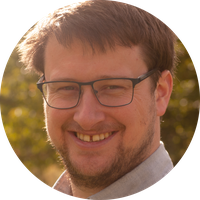 In 2004 a significant portion of its male population, including its mayor, were tried in New Zealand courts and found guilty of sexual assault and a new constitution was introduced in 2010. It has a ten member chamber and an elected mayor responsible for the day to day running of the island. Legislation has to be approved by the Governor, who is also the High Commissioner to New Zealand and appointed by the British government – currently Victoria Treadle. I have counted it in the eighteen, but perhaps this is tenuous? The island uses the New Zealand Dollar and is worth taking a moment to explore on Google Street view. The Falkland Islands had 2932 people at the last count. Unlike Pitcairn, they have their own legislature and their own currency, the Falkland Islands Pound, which is pegged to Stirling. When people mock the idea of an independent Scottish currency, this is worth remembering. Under the 2009 constitution, they elect their own government but have their foreign policy administered by the UK, which is represented on the islands by the Governor General, currently the former Consul General in Basra, Nigel Haywood (who is also Commissioner for South Georgia and the South Sandwich Islands). Whilst most Overseas Territories are the responsibility in government of Mark Simmonds, the Falklands, uniquely, have Hugo Swire representing them. Saint Helena, Ascension and Tristan da Cunha is Britain's second oldest colony, and got a new constitution in 2009 after a fracas in 2007 which included the resignation of six of the seven councillors on the Ascension Islands who said that they were legitimising a sham democracy. The territory uses the St Helena pound, which is pegged to Sterling and has between its widely scattered islands around 7700 people. 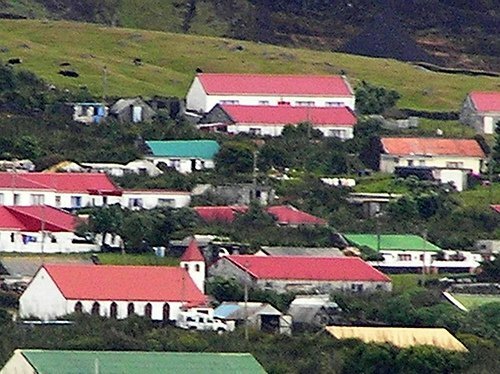 Domestic affairs are dealt with by an elected Legislative Council while specific governance of the smaller partners - Ascension Island and Tristan da Cunha - is led by Administrators which are advised by elected Island Councils. The latter of these meets in the pleasingly named Edinburgh of the Seven Seas which is about as far from the nearest other village as its Scottish namesake is from Corsica, making it the most remote human settlement on earth. Anguilla and Montserrat both use the East Caribbean Dollar – meaning that while Westminster may claim to deplore currency unions, it is responsible for territories which are members of three different such agreements (the Pound, the Euro, and the East Caribbean Dollar). The British Virgin Islands uses the dollar and the Cayman Islands has its own Cayman Islands Dollar – the 9th most expensive currency on earth. All four territories have basically the same model, with elected chambers who in turn appoint a government, and a governor from the UK who is responsible mainly for international affairs. Gibraltar has a similar arrangement but that, uniquely, it is a member of the EU, voting in the South West region of England in European elections. Bermuda is the most populous and oldest of the territories and uses the Bermudan dollar, which is pegged to the American dollar while Turks and Caicos use the US dollar. Both have considerable responsibility for their own affairs though, in 2009, the UK government threatened to suspend self rule in the latter over allegations of corruption. Ultimately the head of the government resigned, protesting that this amounted to re-colonisation. There have been discussions about the islands joining themselves with Canada. Finally, of course, until 1997, Hong Kong, with a bigger population than Scotland, was also a British territory. What Scotland is aiming for is nothing like any of these colonial relationships. Perhaps the closest analogy will be Ireland. The Republic is, of course, independent. But it's worth noting that it's defined in law that it's “not a foreign country”. It kept the pound for eight years after independence and then kept its currency pegged to the pound for another fifty years after that. It is, along with the Crown Protectorates, a part of the Common Travel Area meaning there aren't routine passport checks at borders. Look around the world and you'll find endless examples of different types of constitutional arrangements and negotiated sharings of powers, including free travel areas, currency unions, shared heads of state and all manner of things. Some of these relationships are problematic, others are fine. What they tell us is that there's not really any such thing as normal, and if it exists, it's got absolutely nothing to do with the various constitutional arrangements in which Westminster is currently embroiled.